S:Momo Steering wheel for Murena. 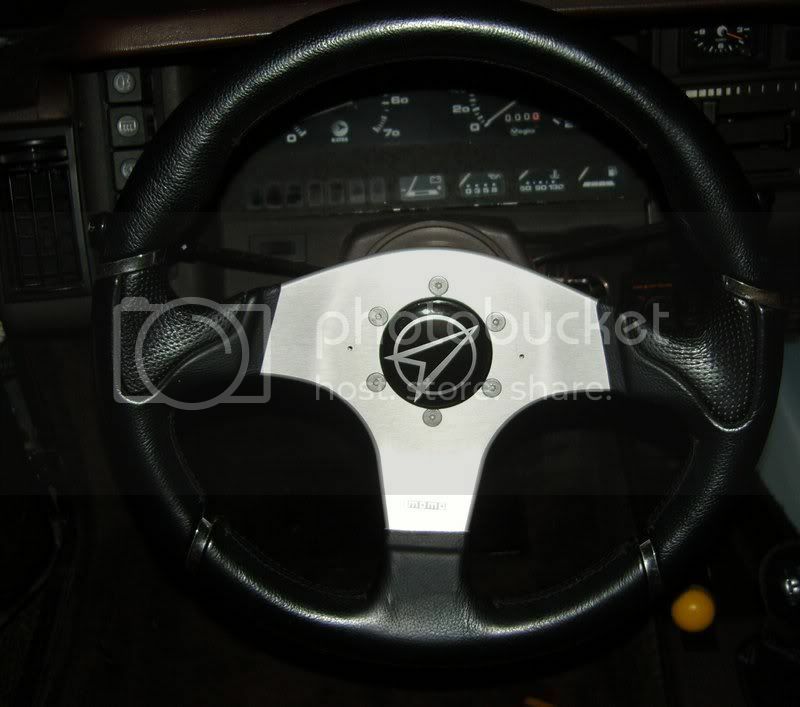 MatraSport Forum > General Matra related > Marketplace > S:Momo Steering wheel for Murena. 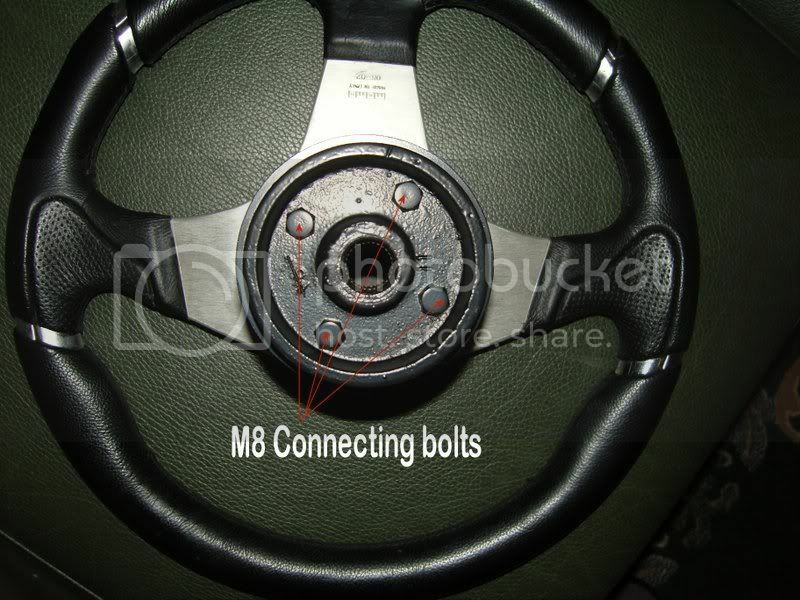 Re: S:Momo Steering wheel for Murena. I have a spare Matra wheel which I don't need and your Momo set up looks smart but it is probably not worth paying two lots of postage just to swap wheels when neither of us need to. If no-one buys it from you we can sort something out but see if you can get someone to part with some cash for it first. Me wants it VERY much!! However, I'm in the last stage of consideration so will probably know what the out come will be over the weekend. If I buy the car, the steering wheel is sold! Well, as I already have a gorgeous Moto Lita and Razorback doesn't even have a car, I'll let him have first chance at it. 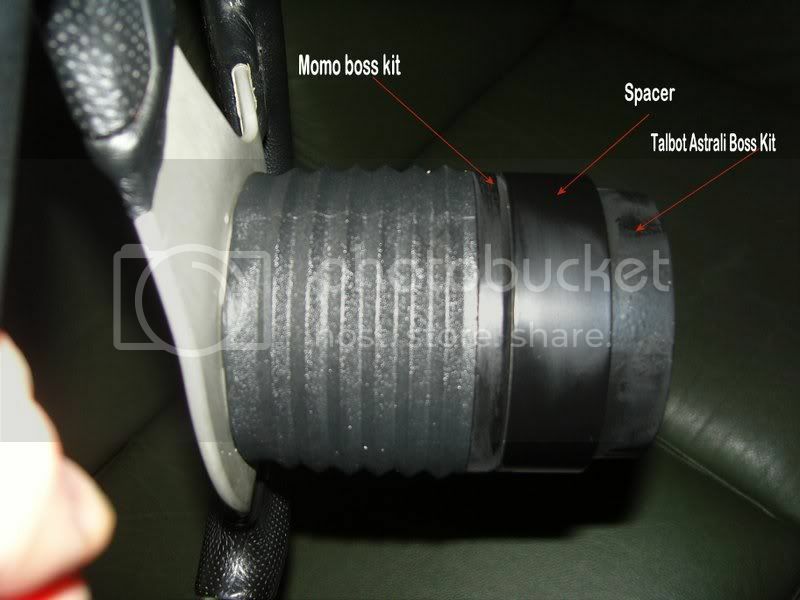 It is quite easy to get a 32 cm (best compromise) MOMO on eBay - the adaptor is the hard one. I belive a Talbot Samba or even a Peut 205 will fit. An extra 1 - 2 cm extra clearance to the dashboard would also do some benefit to the driving position. Modern cars do not use the Jackie Stewart position with straight arms anymore. Can anyone supply a copy of the MOMO-papers for approval of installation??? On my search for a wheel and adapter I had mixed opinions. A german shop told that Simca 1000-1100 Chrysler 1307-8 Tagora and Samba/Horizon had the same fit. At a french shop they offered adapters and sport steering wheels for € 49.- for the above cars. I contacted them if it fitted the Murena, and they told me defenitly not. The only one that makes adapters for the Murena is Nardi. So I bought a Nardi adapter (Not cheap). That fits most common sizes of sport steering wheels. As far as my memory serves me, it was number 469. I am still searching for a Talbot steering centre hub. I made up an adaptor using a Talbot Sunbeam boss kit for an Astrali wheel and an old Renault boss kit for a Momo wheel. I machined both using a lathe so that they each had a flat surface and then machined a cylinder to act as a spacer between the other two parts. Tapped a few holes. Bolted both together - perfect fit. Possibly not the easiest or cheapest way to do it but I had the Renault boss already and the Astrali one was the only Talbot Boss that I could find (and it was cheap). Plus I could choose exactly how far the wheel would be from the end of the steering column. If it is worthwhile to anyone I could take some photos. Oh, Krede i forgot to ask, does it come with TUV-papers? or at least, is it TUV-approved...? Have no idea... and I think Its as good as sold.. I think not everyone has the possebillities to do a job like that, but pics don't hurt and can giv ideas. Nice job, especialy the centre hub with the Matra sports logo draws my attention. I had some made up as wheel centres and made a few spares. I prefer the logo without text for anything bigger than a key ring. 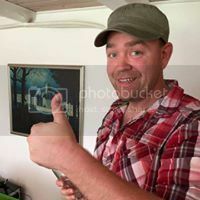 Hey Krede, is the steering wheel sold....?